Fly fishing ain't cheap, but man is it worth it! When we started fishing a few years ago, we found it's a LONG process to gather the gear required to make it happen. It's a huge undertaking to say the least, but we want to help folks get on the water. That's where the gear library comes in. So, what the heck is The Roving Gear Library? 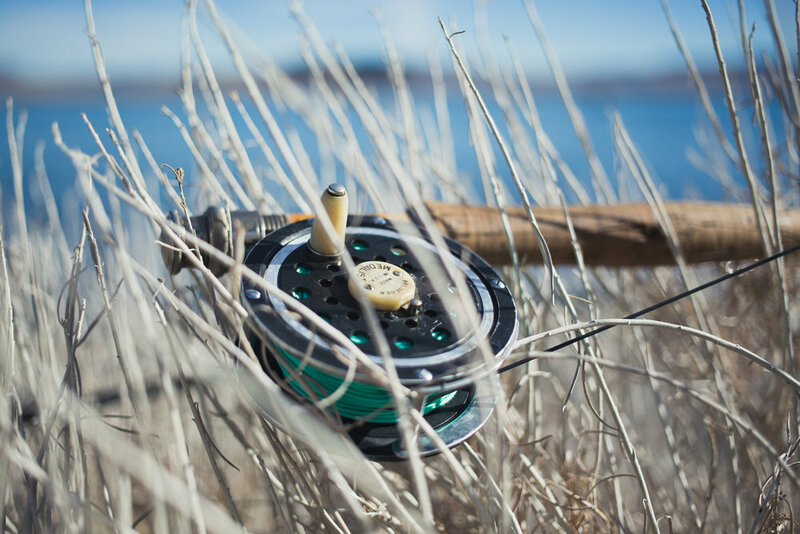 The Roving Gear Library is a collection of used fly fishing gear. Anyone can borrow free gear*, for as long as they need, based on the honor system (river karma, folks!). The gear will be distributed between our home bases in Olympia, WA / Portland, OR / Boise, ID. This gear has been passed along from fellow fishers who just want to help folks get on the water. The gear has been used, but we'll make sure it's functional before passing it along. *US only for now, sorry folks! How do I request gear? First of all, that's awesome! Fill out the form below and share a bit about yourself, the water you plan to fishing, and what you think you need. Our inventory is constantly fluctuating so we'll do what we can. If we have what you are looking for we'll coordinate the best way to get you the gear. Where is the gear stored, and how do I get my hands on it? We three ladies live in these northwest cities: Portland, OR / Olympia, WA / Boise, ID. So, the gear is stored in our sheds, garages, closets, etc. If you live near-by, we can arrange a hand-off. If you are out of state or too far for an easy rendezvous, we can ship it your way*. If by awesome you mean functional, then yes! 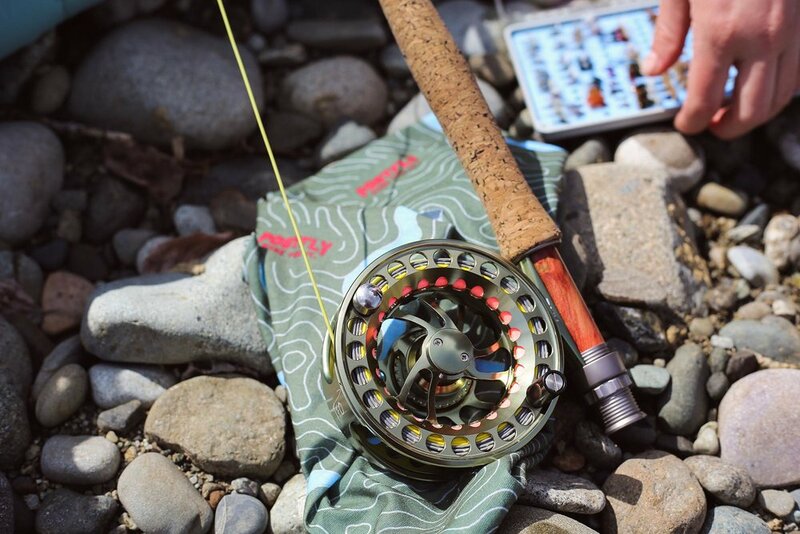 Not all our stuff is the flashy new stuff all the blogs are talking about...this gear is meant to help get you on the water and hopefully hoooook you into some fish! Where does this gear come from in the first place? We know it's not easy to acquire the gear you need in the beginning. More often than not, the first rod or reel you purchase isn't THE rod or reel...and those beginning items can become dust collectors (glorious dust collectors, but not as glorious as that hummel your grandma gave you). That's where our community comes in: We know tons of fishers with gear lying around, never to be used again and we figured...why not share the love? So, our friends (and some folks we've never even met!) have been sending us gear to get it in the hands of those that will use it. What if I have "a friend" with a closet or garage FULL of fly fishing gear? Can they be our friend too? Send us a message below, and we'll coordinate how to help your "friend" downsize their gear. We'll even cover shipping! Then you, er, your "friend" can feel free and like they did something for the greater good. If I donate gear, can I write this stuff off? The short of it is we are working towards being a 501c, but haven't sealed the deal yet. So we can't provide the paperwork you'd need for taxes. We recognize it's no small feat to donate your beloved gear, so if you want to contact us we can share where we are at in the process. That way you can forecast if you want to donate. We thank you for your patience! We hope it's a really big trout, bass...or salmon for that matter! Whether you are in need of some gear to get you by, have gear you want off your hands, or have any cool jokes worth sharing...we're all ears.